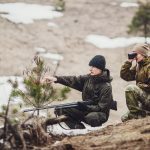 What is the difference between a rangefinder and binocular rangefinders? 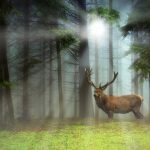 Do I need a high-tech range finder to hunt casually? There you are, waiting patiently in your stand and suddenly in the distance, you see a deer. You reach for your rangefinder, but when you look through it everything is blurry! If only you had spent the extra money on a fog proof range finder. Rangefinder Binoculars can make the difference between coming home with a beautiful trophy, or leaving the woods empty handed. The following range finder binoculars are the best of the best that 2019 has to offer. There are rangefinder binoculars here that will fit everyone’s needs. 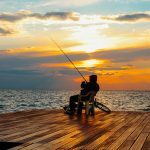 As I have said before, Hunters Pulse is here to make sure that all avid hunters and fishermen are kept up to date and made aware of all of the best new technology. Bow hunters, rifle hunters, and crossbow will find the product they need. For those new to hunting the FAQ will help you decide which range finder to get. In the past rangefinders used a single lens. These rangefinders use two lenses for measuring distance and observing your target. 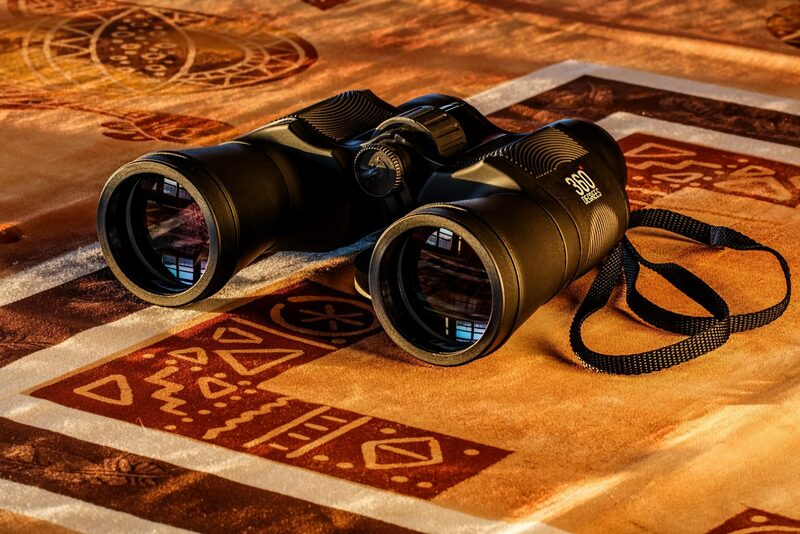 Binoculars give you a better field of vision than a single lens range finder. 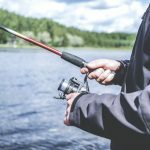 You’ll increase your chances of bagging your target. 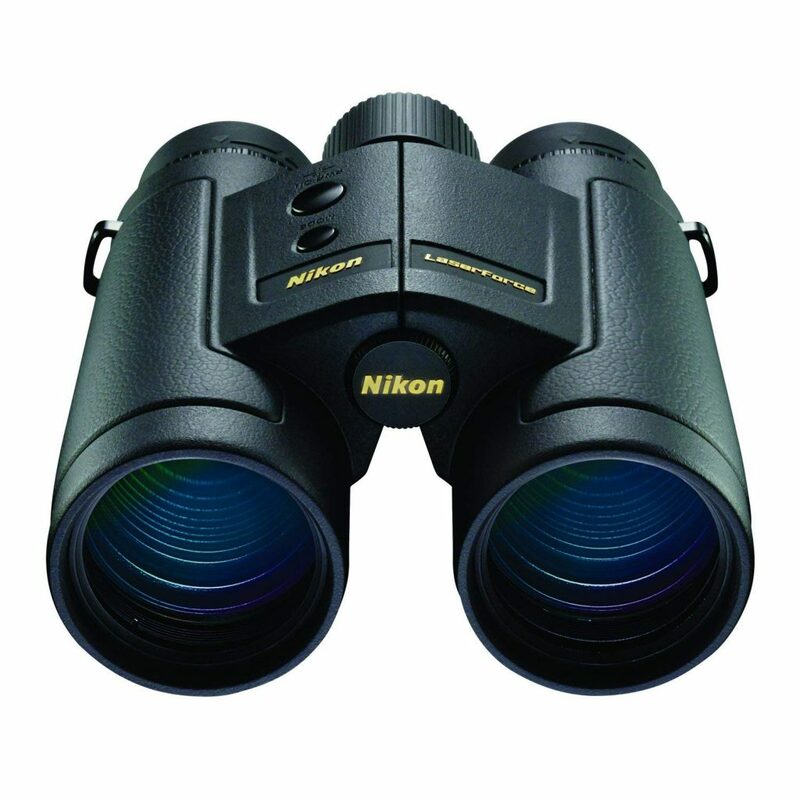 Since these combine a rangefinder and normal viewing binocular, they eliminate the need to carry both a range finder and binoculars. Your bag will be lighter and your hunting process more efficient. These military grade rangefinders blend into the greenery. If they fall out of your stand into the mud, they will still be in perfect condition. If they fall out of your pack into a lake or river, they will float to the top. Perfect for long hunting trips! To protect the lenses, even more, the USCAMEL’s have two lens covers. At the bottom, there is a place for a tripod attachment. 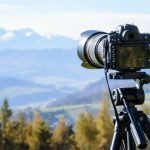 Adding a tripod helps stabilize your rangefinder, great option for those with shaky hands. To hone in on your target, you can adjust each eyepiece individually. The Hi-index BAK4 prism makes everything down range clear. These are an excellent option for rifle hunters. Buy the USCAMEL if your number one concern is durability. They are bulkier than other rangefinders but they work as binoculars and a range finder, so the extra weight shouldn’t be a problem. The Aurosports rangefinder is an excellent entry-level binocular. They will hold you over until you can upgrade. Overview: If you want to bring your kid out for his first hunt, these will be a perfect way to introduce him to hunting. The finders are surprisingly durable for their price range. The body is made of ABS, a resilient plastic. A rubber coat is applied on top of the ABS for maximum shock absorption. 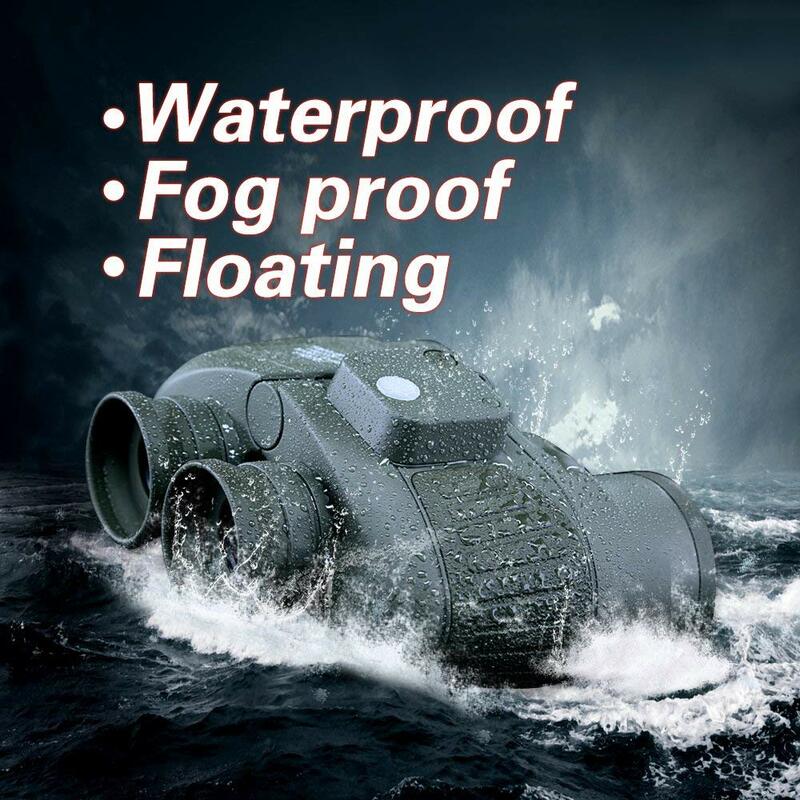 It’s best to avoid full submersion with these binoculars. They will withstand rain and spills, but the lenses won’t last long underwater. These aren’t great for hunting deer. For bird hunters, the Aurosports will work perfectly up to 100 yards. The left eye isn’t adjusted individually. Instead, the centerpiece is turned to focus on your target. These are great for evening hunts or hikes. The green film lenses allow them to work in low light areas. A good back up option if your main rangefinder quits working. They are priced reasonably and make a great gift for a young hunter. 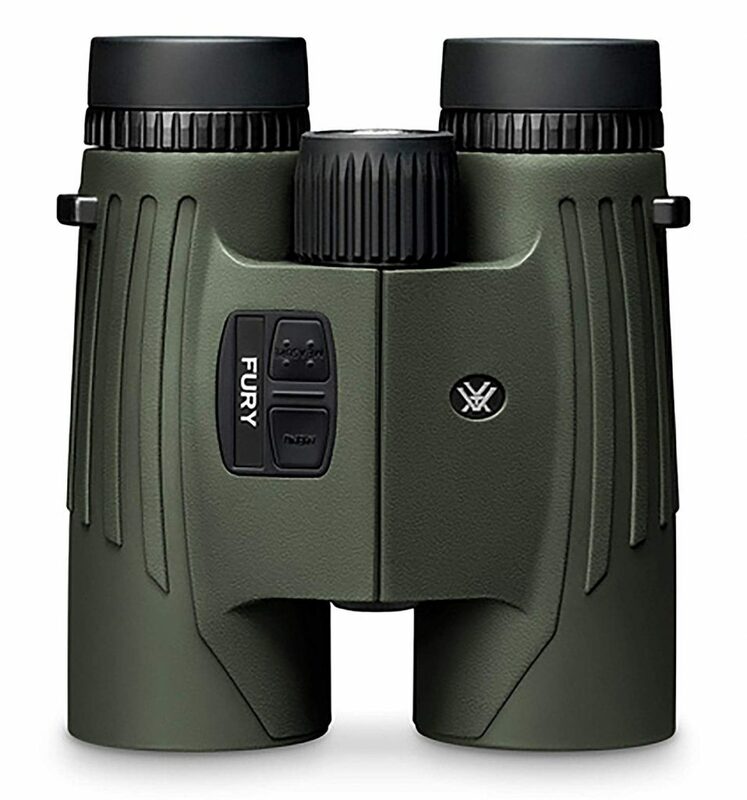 The Vortex Optics Fury is as Top of the line as it gets when it comes to range finding binoculars. The laser tracking system provides continuous feedback on the distance between you and your game. The Vortex Optics combine the most advanced range finding technology with modern binoculars. The laser system judges distance more accurately than other models. Sometimes high tech means more problems. That isn’t the case with the Vortex Optics Fury. The simple design is waterproof, dustproof, and impact resistant. They have been fog proofed to provide a clear view in rain or snow. The controls are on the right side of the binocular. Click the line of sight button to calculate your next shot. The design is perfect for holding your firearm and still maintain sight of your prey. After spotting your target hand them over to your buddy and let him watch as you take down your target with ease. For shots between 400 and 800 yards the horizontal component distance setting work best. The display corrects your shot based on your firing angle. This setting is excellent for hunters using bows and crossbow. It works for rifles too if the shot has a low to a medium slope. With three display settings, you can hunt all day. The battery level is shown on the display. You can also track moving prey, not a feature many rangefinders have. This is an Expensive piece of equipment, So If money isn’t a problem, you can’t go wrong with a Swarovski product. Their El Range binocular and rangefinder always has the latest features. The high tech laser is protected by the highest quality materials possible. These binoculars were designed for hunting dusk to twilight. The lenses are fog proof and include Swarobright technology. The included rotating strap holds spare batteries in the belt. To attach a new strap or accessory, you can easily remove the bayonet mount and switch accessories. The eyecups work with glasses, even sunglasses. The optics have 91% light transmission. Weighing in at only 2 pounds the Swarovski is the lightest and most compact range finder on the market. Swarvoski has taken comfort and style into account the EL Range has fantastic powder coated grip and a sleek design. The range finder button is on the left-hand side of the binoculars. This may throw off some bow hunters but works excellent for rifles. 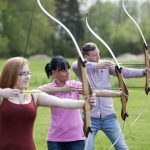 Even archers will appreciate the crisp visuals the EL Range gives. The display shows both corrected shooting distance and straight line distance to your prey. It alters shooting distance using the patented Swarrange. It’s line of site feature works up to 1,500 yards away. That included scan mode measures distance for two minutes. 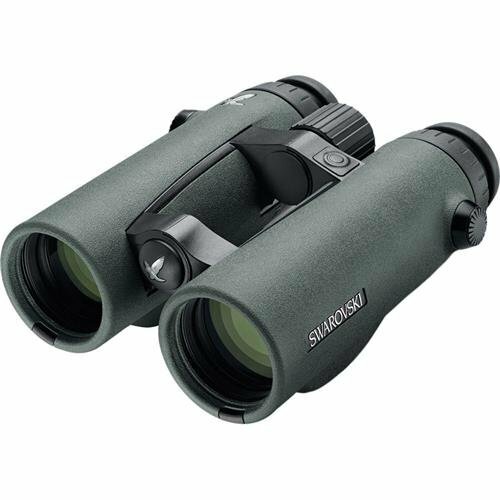 Replacing your range finder and binoculars with the Swarvoski will be the best decision you made. The price tag is higher than other finders, but you won’t find another piece of equipment with the accuracy and ruggedness of the EL Range. Nikon is known for its cameras and lenses. SO it is no surprises the Nikon LaserForce has the best optics out there. They are new to the rangefinder scene, but they made a product that proves they know what it takes to produce quality hunting gear. 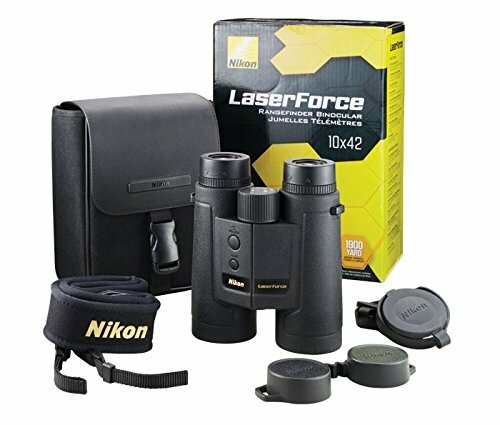 The Nikon’s LaserForce has the best optics out there. The extra-low dispersion glass prevents glare. You will easily see a deer from 1100 yards away. Trees are visible from 1400 yards, and reflective targets are clear from 1900 yards! These rangefinders are incredibly durable. No drop will break the rubber coated aluminum shell. The rangefinder binoculars are nitrogen purged and use a tight O-ring seal to prevent any fog or water interfering with your hunt. Nikon included all of this in a compact and light-weight package. The LaserForce rangefinder is less than 10 inches long and weighs less than two pounds. The OLED screen is a vast improvement over LED and LCD displays. Nikon has included ID Technology for compensating for incline and decline while hunting. To save battery life, the Nikon LaserForce shuts down after 8 seconds. Now you know the best rangefinder binoculars out today. The technology keeps improving giving you a more accurate shot, Not everyone needs or wants a high tech finder. Some traditional hunters may be happy with a low-tech and durable option, like the USCAMEL. Not sure what you’re looking for? The following guide will narrow down your choices. A binocular range finder is already eliminating the need for two devices. You’ll still want to pack light though. Most hunters want a rangefinder that’s under 5 pounds. You’ll be holding these for hours at a time so the lighter, the better. 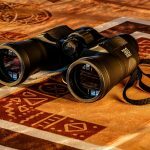 Sometimes light binoculars sacrifice durability, the rangefinders on this list are all low weight and durable. You don’t need to see a mile away for bow hunting. You also want the buttons to be convenient to the hand you’re bow isn’t in. Unless you are lefthanded, you’ll want the buttons on the left side. For hunting with guns, you’ll want to see as far as possible. Check and see if there are accessories for your rangefinder, things like tripods and straps can make carrying your rifle and binoculars easier. You need decent reliefs. Without a comfortable eye relief, you won’t even want to use your binoculars. Adjustable eye reliefs are better than fixed. A regular monocular range finder does the job, but then you need to carry a pair of binoculars as well. The rangefinder binoculars are the latest innovation in hunting gear. The military has used them for years, and now they are finally flooding consumer markets. Hunting involves a lot of skill, experience, and patience. Early colonialists and native Americans didn’t use a rangefinder, so why should you? Well, early Americans had unlimited time to track and hunt their targets. You want to spend your time making shots not tracking prey. A range finder will help you take the best shots saving you time and filling your walls with trophies. You need a range finder for sure. You may not need to drop a grand on a high-tech range finder. If you want to go old school, the USCAMEL binocular is a military grade range finder. If you are a guide or true hunting enthusiast, you’ll want to make the most of your time in the field. Spending a little more is worth improving your kill rate. 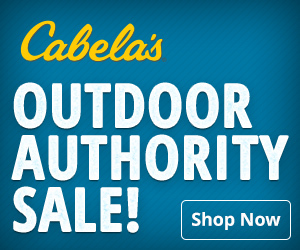 Know your needs and find a binocular range finder combination that works with your hunting style. Rangefinders keep getting better. 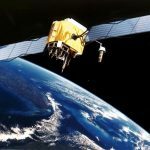 We are seeing more technology at a lower price. The Nikon LaserForce has even started using an OLED display, the same kind of display top-notch smartphone use. Swaro-Aim and other range finding software have become more accurate. 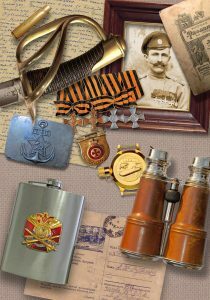 There are a lot of rangefinders on the market. Knowing what you need and what you want is essential. 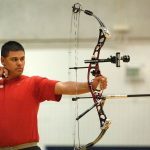 You won’t need to see a mile away if you’re using a bow, but you might want the extra distance anyway.